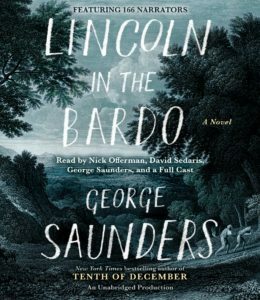 The long-awaited first novel from George Saunders, the author of TENTH OF DECEMBER: a moving and original father-son story featuring none other than Abraham Lincoln, as well as an unforgettable cast of supporting characters, living and dead, historical and invented. Want to see exactly where your favorite narrator is in the story? See our Character Key. Dr. Andrew Fiedler as DONOVAN G. ROOT, M.D.